There are three main categories of contact lenses, based on the materials they are made of: soft contacts, rigid gas permeable (GP) contacts, and hybrid contact lenses. Soft contacts are made of pliable hydrophilic ("water-loving") plastics called hydrogels. Hydrogels absorb significant amounts of water to keep the lenses soft and supple. Because of this water-loving characteristic, the water content of various hydrogel contact lenses can range from approximately 38 to 75 percent (by weight). The water content of soft lenses allows oxygen to pass through the lenses and keep the cornea healthy during contact lens wear. Different brands of soft contact lenses have different water content and lens thickness. Generally, hydrogel lenses that have a low water content are thinner than soft lenses that have a high water content. There is significant variation in thickness and water content of hydrogel contact lenses because people will respond differently to the materials. Some contact lens wearers are more comfortable wearing thin, low water content lenses; others are more comfortable wearing thicker, moderate and high water content lenses. Another feature of hydrogel materials used for soft contact lenses is their surface charge, which can affect how quickly protein deposits form on the lenses during wear. Hydrogels are classified as either ionic or non-ionic. Ionic materials have a negatively charged surface and therefore may attract positively charged proteins in the tear film. Non-ionic hydrogels are treated to reduce this negative surface charge and therefore may be less prone to attract protein deposits. New soft contact lenses called silicone hydrogel lenses are fast becoming popular. These lenses include silicone within the hydrogel material to increase the oxygen transmissibility of the lenses. In fact, studies show that silicone hydrogel contact lenses transmit up to six times more oxygen to the cornea than regular soft lenses. This feature makes silicone hydrogel lenses safer for use as extended wear lenses. Many new soft lenses also include surface treatments to help the lenses better retain their water content and avoid drying out for greater all-day wearing comfort. Gas permeable contacts, also called GP or RGP lenses, are rigid (hard) contact lenses. Like hydrogels used for soft lenses, materials used to create GP contact lenses also are "gas permeable," allowing oxygen to pass through the lenses to the cornea. Unlike soft lenses, however, rigid gas permeable lenses do not contain significant amounts of water. Instead, GP lenses rely on their microscopically porous nature to transmit oxygen to the cornea. Prior to the development of GP lenses in the 1970s, conventional hard contact lenses were made of a hard plastic material called polymethyl methacrylate (PMMA). Though PMMA has excellent optical qualities, durability and biocompatibility, it has no oxygen permeability, and many people could not tolerate or safely wear PMMA hard contact lenses for this reason. The first modern GP lenses to gain wide acceptance were made of an oxygen permeable material called silicone acrylate (SA). These lenses were introduced in the late 1970s under the brand name Polycon and had a Dk value of 12. Since then, new gas permeable lens materials have been developed that provide greater oxygen transmissibility, enabling even overnight wear of GP contacts. Initially, increased oxygen permeability was achieved by adding more silicone to the lens materials. However, this ultimately caused GP lenses to become more fragile and caused them to dry out and accumulate lens deposits more easily. Eventually, fluorine was added to GP lens polymers to solve these problems. Today's fluoro-silicone/acrylate GP lenses are optimized for oxygen permeability, lens stability and surface wetting characteristics. Because of their hardness and because they do not fluctuate significantly in their water content, gas permeable contacts generally have superior optical characteristics and provide sharper vision than soft lenses. However, despite advances in GP lens technology, some people cannot adapt to wearing rigid GP lenses and choose soft lenses for comfort reasons. Hybrid contact lenses have a rigid GP central optical zone, surrounded by a peripheral fitting zone made of a soft contact lens material. SynergEyes is the current market leader in hybrid contact lenses sold in the United States. 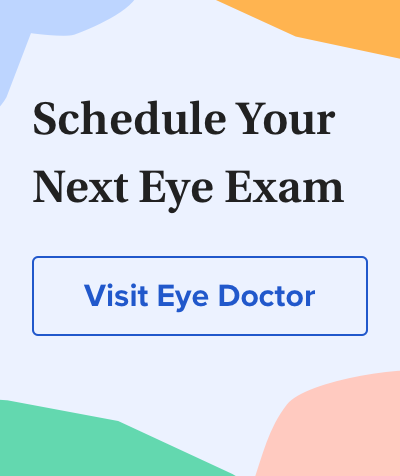 The company offers a variety of hybrid contacts, including multifocal hybrid lenses for presbyopia and hybrid contacts for keratoconus and other conditions that cause irregular astigmatism.